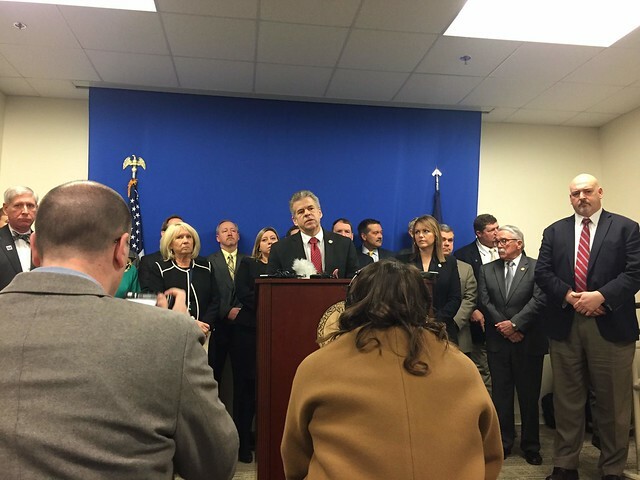 RICHMOND, VA (WWBT) — The debate over late-term abortions is reaching new levels after Virginia Democrats and Republicans held separate news conferences Thursday. Monday night, Del. Kathy Tran’s (D-Fairfax) bill (HB 2491) failed in subcommittee. The bill would have scaled back regulations on late-term abortions in the third trimester. Thursday morning, House Speaker Kirk Cox (R-Colonial Heights) and other Republican leaders held a news conference following the heated discussion this week regarding that legislation. Wednesday, Governor Ralph Northam defended Tran’s bill during a radio interview on WTOP. On Thursday, Del. Kathy Tran corrected her answer that she gave to Del. Todd Gilbert in the video that went viral. "“I should have said: ‘Clearly, no because infanticide is not allowed in Virginia, and what would have happened in that moment would be a live birth," Tran said. Delegate Emily Brewer also spoke during the Republican news conference about her upbringing by adoptive parents.